We realize in BPS that you might not need flashcards for your classes, but if you’re one of those who likes to use flashcards to hammer something into your brain…. With Study Stack, you can create your own flashcards or use the flashcards that are available on the website. The flashcards available on the website range from Geography and math to languages and medical terminology. You can even study for a GRE, MCAT, or LSAT test. You can create a new account for free or log in using your Facebook account. Give it a try, maybe learn a few words in a new language just for fun! While YouTube is just freaking fantastic for all things related to procrastination and chuckles, would it shock you to know that it has educational value? It shouldn’t…YouTube has everything. We’ve been over how pathetically awful I am at math and science several times now, but somehow, I always pull a B or better. Last semester, I had college physics. Between then and the last time I had a physics course (cough*highschool*cough), I remembered all of…well nothing. I remembered zilch. The first day of class was considered ‘review’. It might as well have been a foreign language. To make matters worse, I’m terrified of raising my hand to ask a question because I just know I’ll sound either a. Like a valley girl or b. stupid. A. and b. are synonymous, but I digress. I do a lot of self teaching. I could spend three hours in lecture and absorb maybe 20% of it. It’s not that instructors go to fast…I just like to mull over things a lot longer than we do in class. There’s a difference, I swear! So at home, this is my proven-to-work method. Instead of slapping my giant overpriced edition 824095 textbook on the table, I reach for my laptop. I go to the YouTube homepage and simply type in the search bar the specific concept I need help with and bam. YouTube professors galore. I assume most of these professors have these YouTube accounts so that their students can refer back to lesson plans, but they are beyond helpful for anyone looking for pointers or a bit more of an explanation. The best part about these YouTube tutors is that they’re free! AND you can pause, rewind, and fast forward whenever you need. Take advantage of YouTube for homework help! Khan Academy is a great channel to subscribe to for general homework help. From physics to calculus, these tutorials are amazingly helpful. More often than not, I have printer issues. The ridiculously expensive and fancy printer I have at home usually chooses to have a nap whenever I have something of dire importance to print… We’ve had talks… she doesn’t listen to me / doesn’t believe me when I say I will hurl her out of a window if she continues to fail me so utterly (…yes, my printer is a ‘she’). These days, “my printer wasn’t working” is not a good enough excuse for professors when it comes time to turn in an assignment, and rightly so. There are ways around these frustrating beasts of plastic and programming. It may seem obvious but shoot an email to your professor about your issues with your unfriendly hunk of digital whatever and ask if they will accept an emailed copy. If the answer is simply ‘no’ (which would be very cantankerous and inflexible), email the file to yourself and hunt down a local library, campus building, or friend with a printer that doesn’t eat failure flakes for breakfast. Voila! Hard copy freshly inked and ready to be turned in. It’s Tuesday, everyone! Usually, that means I’d have some kind of tech tip for all of you, but today I’m going to tell you all about one of my favorite websites. It’s too easy to get distracted when you’re online, so if you must get distracted go to freerice.com. Put your vocabulary to the test while simultaneously helping to end world hunger! 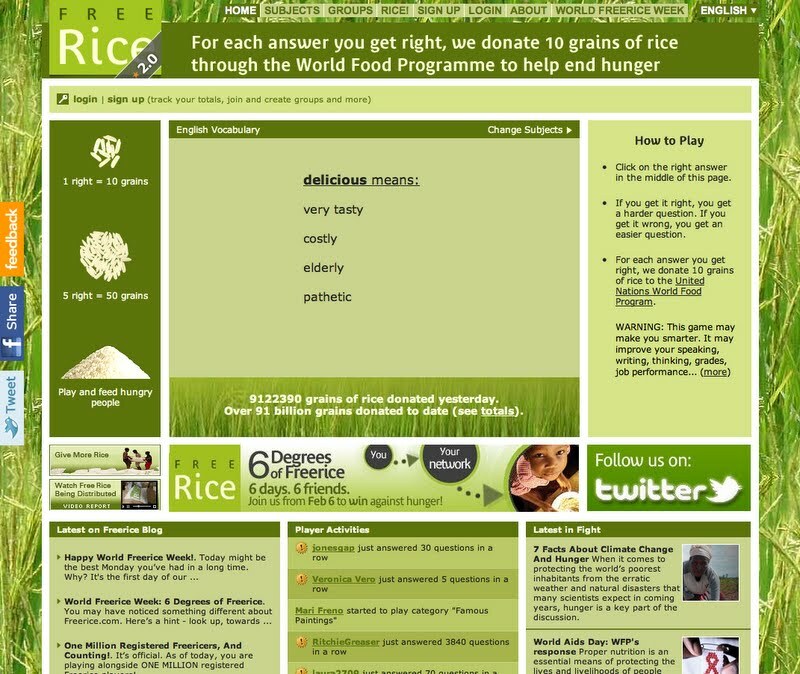 Free Rice donates 10 grains of rice to the World Food Programme for every question that you answer correctly. The more answers you get right in a row, the more rice they donate! If you’re not a fan of vocabulary, no problem! You can change the subject to mathematics, chemistry, geography, art and foreign languages and the difficulty levels vary. Take a break from that essay you’re writing and earn some rice for hungry people everywhere! Tech Tip Tuesday – Apps for College Students! Here’s another post from our fabulous student worker, Eleni! Whether you are taking an online course or face-to-face class, note taking is essential to learning the material. Evernote is a free program for your computer, phone, and mobile device (iPads, tablets, etc.) that you can use to take all of your notes. It also allows you to make separate folders for each course, capture audio or video, and you can search your notes easily using keywords or tags! And the best part? You can access all of your notes on all of your platforms. So if you’re away from your computer, you can access those same notes on your phone. It’s so convenient to have all of your notes and information in one place! I use Evernote for all of my classes. Dropbox is another cloud-based program that allows you to upload your files online that you can access wherever you go. 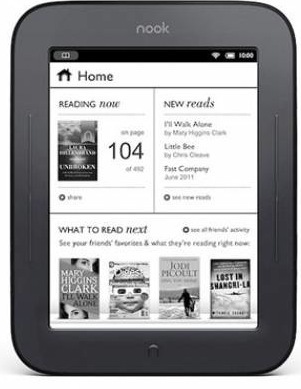 Because the service is web-based, you will need some kind of internet access to get to your files. This app is great for sharing files quickly between you and your peers or simply just storing them online for access between home and university! I, personally, find it easier to use Dropbox over email because it keeps all of my files in one place instead of scattered between emails. If you find yourself sitting in front of your computer for hours on end doing homework, this app is perfect for you. Everyone needs a reminder to take a break, and sometimes policing yourself just doesn’t cut it. With this app you can set up breaks and the program will grey out your screen to remind you to take a minute and rest your eyes and brain. myHomework is an excellent organization tool. The app will split your to-do lists into three categories – upcoming, late, and completed. Very simple and very effective! Netiquette, which is short for ‘internet etiquette’, is an important part of today’s society considering how much we use the internet. It’s particularly important for students taking online courses (like me!). Here are some helpful guidelines for you! – Avoid leet speak (substituting ‘3’s for ‘e’s and ‘1’s for ‘I’s or ‘L’s) or other computer jargon and abbreviations. Lol and brb work in a chat room and not on online classrooms or discussion boards. – Use complete sentences, correct grammar and spelling, and proper punctuation when making posts. – Try to make your posts clear and concise yet complete. – Avoid all caps. Reading a sentence in all caps makes it seem like you’re being yelled at and it’s just not nice. – Stay on topic; make posts that add value to the discussion, either by asking questions or offering comments and which promote further exchange of related ideas. – This may seem like a no-brainer but respect copyright laws. – And finally, be respectful of your fellow classmates. Get permission before sharing classmates’ e-mail addresses or other information.